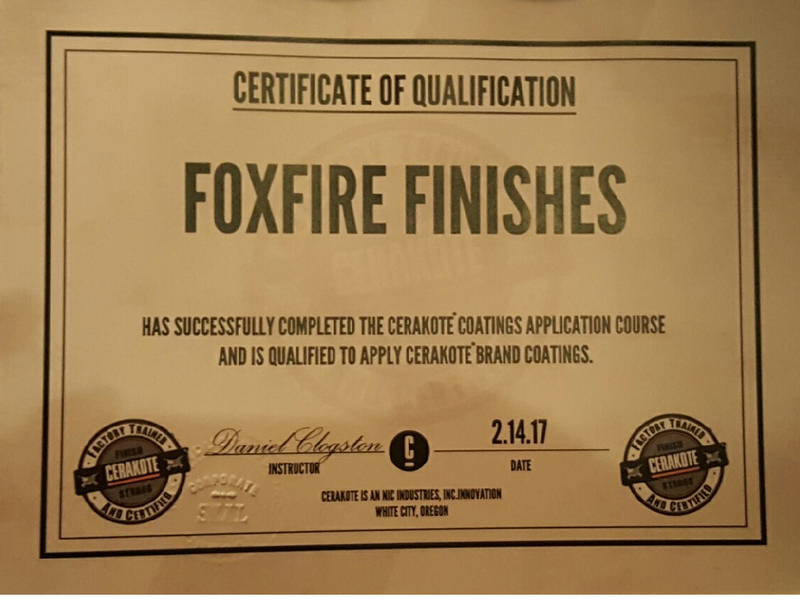 About Us – FoxFire Finishes LLC. We are the ONLY Factory Trained Cerakote Applicator in NorthWest Arkansas and we do our best always to make sure the customer is happy and satisfied with their product. Quality to us is highest priority!